Explore all that the beautiful Bay of Islands has to offer. See caves, tunnels, sparkling lagoons and beautiful beaches. 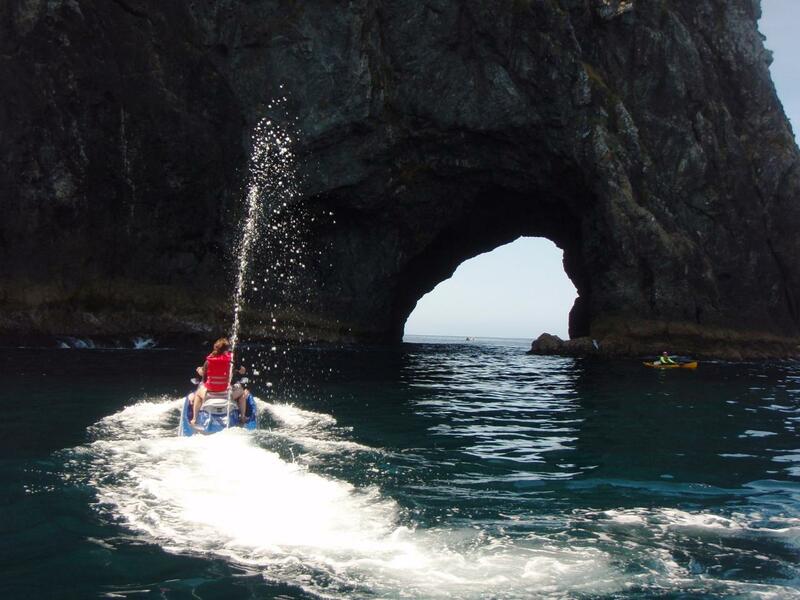 Take on an adventure, visit the famous "Hole in the Rock" and experience blasting through it on your own jet ski!!! Explore the rugged Cape Brett coastline, an untouched slice of New Zealand. Stop for a refreshing swim or snorkel and find a red moki or some blue maomao. Stop at the only island café for delicious local cuisine or a thirst-quenching kiwi brew, alternatively, pack a picnic to enjoy on a pristine private beach.